Who are the better singers? The second week in September we will do a "sing off" between the tables. The winner get bragging rights and the losers pay up! The song will be announced Sept 1st. Annual dues are able to be paid by cash, check and credit card. Members can elect quarterly, semi-annual or annual payments. Get Ready for the Princess and Pirates Ball! Join us for the Princess and Pirates Ball to benefit Storybook Island. The Princess and Pirates Ball is done in support of the park's budget and is just before the Once Upon a Festival event which is a major fundraiser for the park operations. PLAN TO ATTEND! Tickets to to the event will be sold at the club meeting for your convenience. 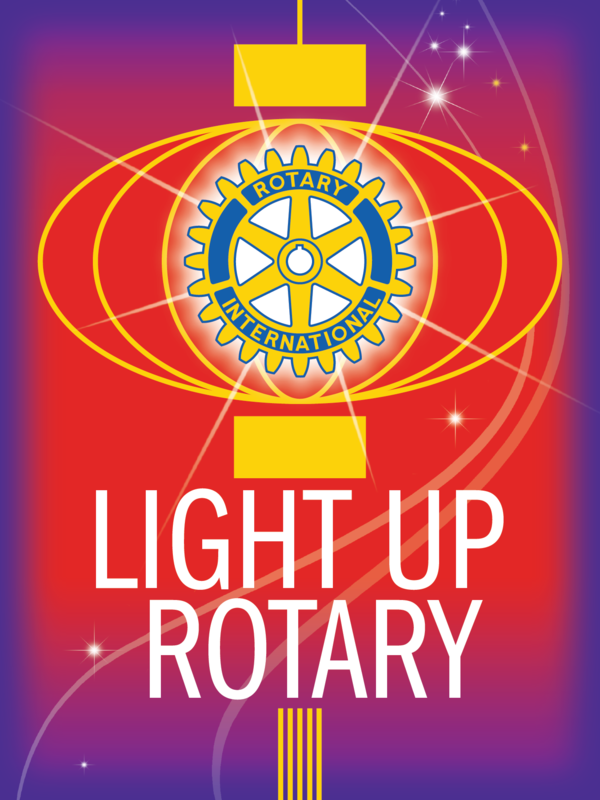 Rotary Foundation to celebrate 100 Years! In 2016-17, our Rotary Foundation turns 100. That’s one century of Rotarians improving lives and communities all over the world. And that’s definitely something worth celebrating. 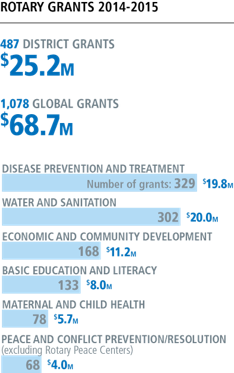 Our Foundation stands at the forefront of humanitarian service, having supported thousands of projects to provide clean water, fight disease, promote peace, and provide people with basic education — and one historic project dedicated to eradicating polio worldwide. Host a birthday party, a PolioPlus fundraiser, or other event to create awareness of Rotary and its Foundation in your community. Promote your club or district projects that are funded by the Foundation. Find out how your club or district can develop projects in one of the six areas of focus, and apply for funding from a Foundation global grant. Give to The Rotary Foundation and encourage others to do the same. Find more ideas and resources at www.rotary.org/foundation100. The Club Annual Meeting will be held on July 7, led by President Keryn Rowland. Minutes of all meetings, Club Financials and Budgets are located on this club website under the Organization tab in the Documents folder. You must log on as a member of this club to be able to access these documents. Please contact the club website administrator, if you need assistance. 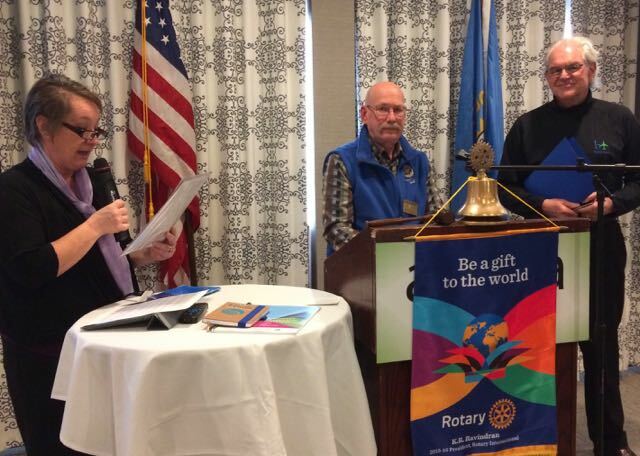 Fred Bursch transferred to Rapid City Rotary from Alexandria, MN club on March 10. Keryn Rowland, President-elect did the induction while sponsor Norm Peterson introduced Fred to the club members present. Fred is the owner of Bursch Travel, and has been a Rotarian since 1978. Please get to know Fred! Reuben wins the Queen of Hearts drawing! Our very dedicated Rotarian Reuben won almost $500 when he drew the Queen of Hearts from 7 remaining cards in January. A sweep of the Queen of Hearts, Happy Bucks and Birthday accounts netted a donation over $800 to Storybook Island. The deck starts over, but you must play to win! Be generous with your raffle purchases and/or Happy Bucks comments! NCAA Basketball Fundraiser books bouncing into members' pockets! Last week to buy basketball books! The receipt slips and payment must be turned in to the Basketball sales committee by March 31 to win. The Basketball books fundraiser proceeds will benefit Storybook Island Carousel House this year. All members are asked to purchase a minimum of 5 books at $20 each for $100 donation. You may resell any of these books to non-Rotarians. The games begin April 2 for semi-finals, with championship on April 4. Committee members are Keryn Rowland and Darrell Sawyer. New members Carol Johnson and Rich Cartney were inducted on December 10. Please greet and get to know our newest Rotarians! The Rapid City Rotary Club chose Cheyenne River Youth Project for our Christmas donation again this year! Our collection during our Christmas Luncheon on Thursday, December 10 netted a large pile of toys and checks over $400! You can help CRYP reach its goal of serving 1,500 children during the 2015 Christmas Toy Drive: make a tax-deductible donation by sending cash, a check or a money order to The Cheyenne River Youth Project, P.O. Box 410, Eagle Butte, SD 57625. We also collected $450 for Feeding South Dakota. Thanks to all for your generosity! Before singing Christmas carols, we heard the men sing "You are so Beautiful" and they were great! Norm Peterson, project chair, has completed the final report and sent in to Ina Winter, District Grants chair. The final report is available in the Download section. Thanks to everyone who did their part to make this project successful! Outgoing President Darrell Sawyer, member since 1986, will hand the gavel over to Jerie Rydstrom, member since 2011 and a board member for the last two years. The two leaders will address the club at our regular meeting on July 2. Please attend and celebrate the willingness of these two leaders to serve. 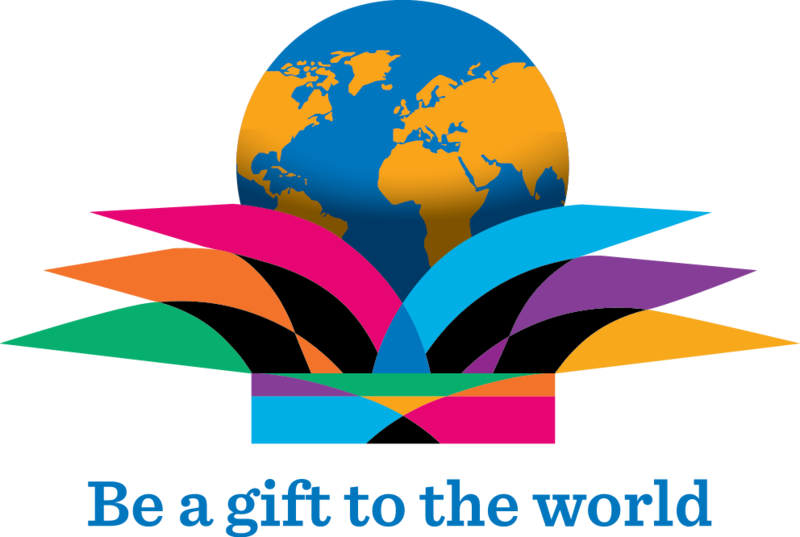 T his year's theme is "Be a Gift to the World" so get involved with your club and make a difference! The current board members are Linda Peterson, Secretary/Treasurer, Norm Peterson, Foundation Chair, Ruth Brennan, Membership Chair, Renu Pandey, assistant treasurer, Jim LeMar, board member, and Darrell Sawyer will serve one more year as Past President. One or more board members are needed, please talk to Jerie if you are interested. Norm Peterson, Club Foundation Chair, awarded three Paul Harris Fellows on June 25. 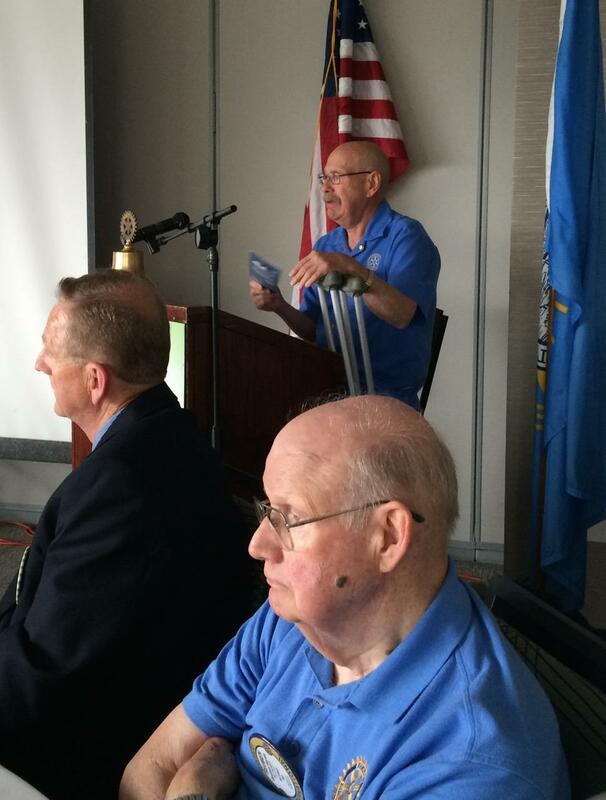 He explained the nuts and bolts of donating to our highly-rated Rotary Foundation. Brochures and forms were available for members. Doris Marie Strom was awarded the Community Fellow for her work in literacy and community service. Darrell Sawyer detailed her extensive background, and presented her with the PHF award and pin. 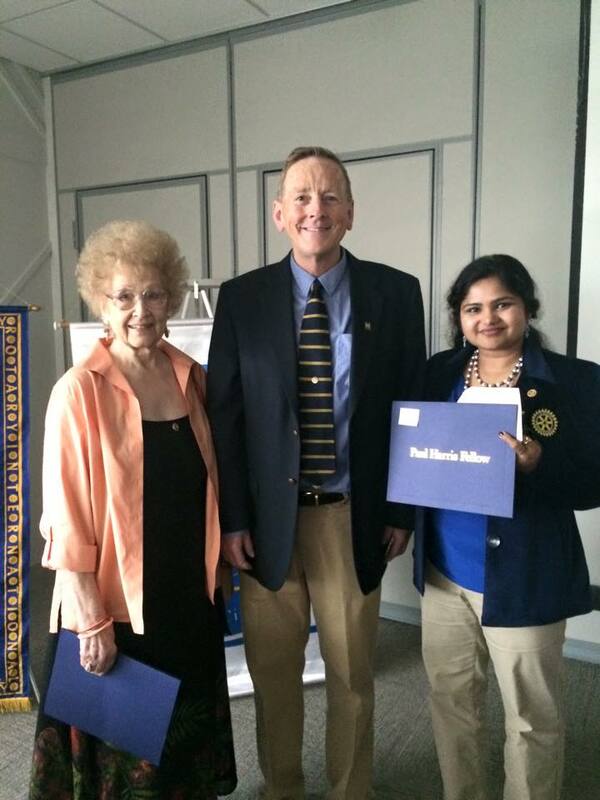 Dr. Renu Pandey was awarded the Club PHF, by Linda Peterson, who nominated her for recognition of her contributions to the club and the recent Rotary Friendship Exchange to India as team leader. Norm also awarded the first PHF to Keryn Rowland for her contributions to the Foundation. Foundation recognition points are awarded to donors (clubs or individual Rotarians) who contribute to The Rotary Foundation through the Annual Programs Fund or PolioPlus, or as a sponsor portion to a Foundation grant. Donors receive one Foundation recognition point for every U.S. dollar contributed to these funds. Contributions to the Permanent Fund are not eligible. You may check your own status by logging into MyRotary and looking at your donor history. Donors can extend Foundation recognition points to others to help them become or to name them as a Paul Harris Fellow or Multiple Paul Harris Fellow. Foundation recognition points belong to the original donor until the donor’s death, or until the donor uses the points (the surviving spouse of a Major Donor may also use the points). Foundation recognition points may be used for Paul Harris Fellow (for individuals) Certificate of Appreciation (for company/organization), Multiple PHF, and help your club reach or even surpass its Annual Programs Fund (APF) goal, as well as achieve 100% Paul Harris Fellow recognition. They may also be awarded posthumously. For more information visit my Rotary.org and consult the Foundation Reference guide. 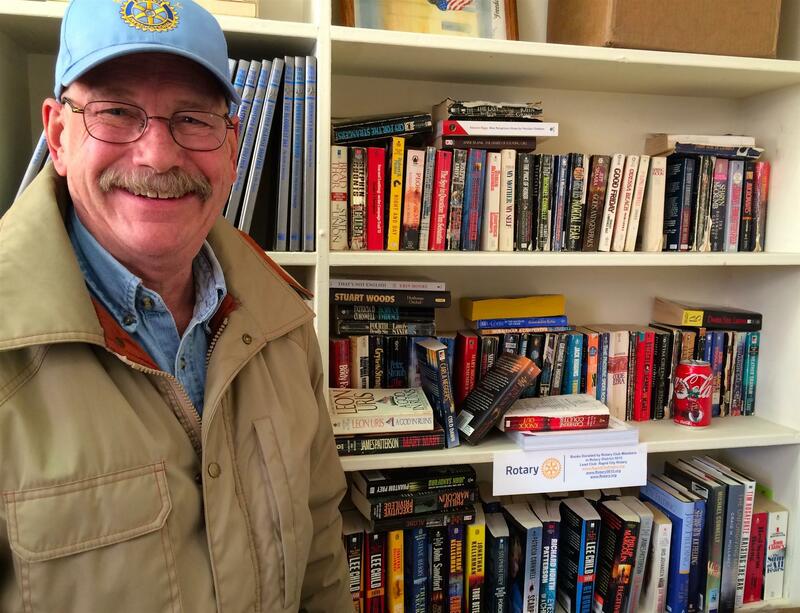 Norm Peterson, Rapid City Rotary Club member, has collected and distributed over 100 cartons of used books around the Black Hills and western South Dakota. Norm asked 43 clubs in the District 5610 area which includes all of South Dakota, southwestern Minnesota, northwestern Iowa and a corner of Nebraska, to donate children and adult books. He accompanied Linda, District Governor, during the past year of visits to each club. The clubs responded generously! Norm received books from many clubs, including Pierre, Cherokee, Canby, Sibley, LeMars, Centerville, Sioux Falls, and Rapid City. 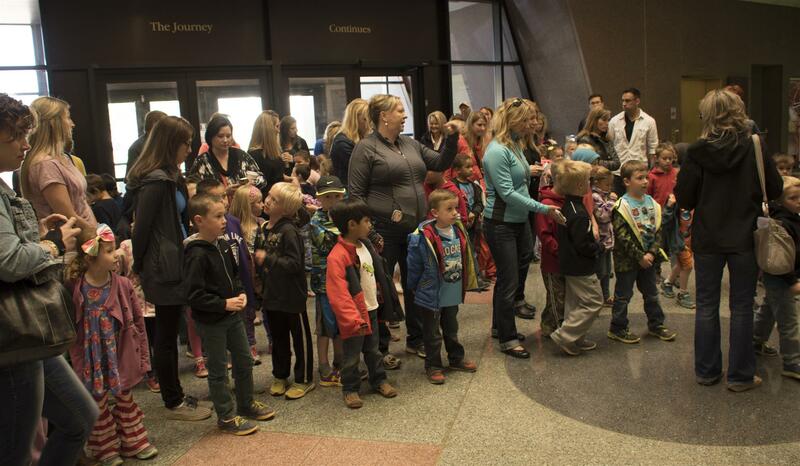 Over 6000 books arrived during the fall District Conference in Rapid City. Then another shipment of 41 cartons arrived in April, due to Heartland Paper delivering from a Sioux Falls’ collection site. The books were sorted and children’s books were distributed to Dear Ones Daycare, a low- income site sponsored by Cornerstone Mission, and adult mystery novels to the Veterans Center at Cornerstone. WAVI received a box of novels. 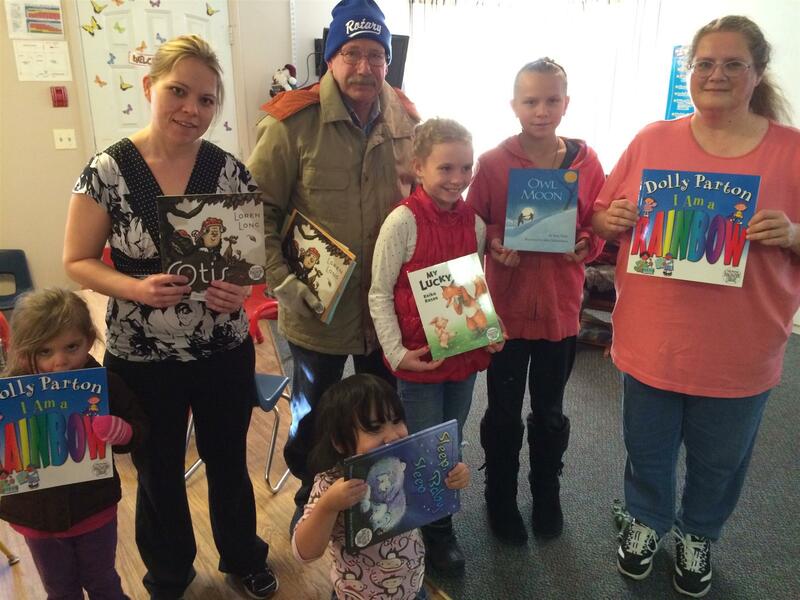 Lakota Homes Oyate Center received boxes of children, adult novels, classics, self-help and reference books. The Journey Museum received a set of crafts reference books. Pine Ridge Sacred Heart Mission received boxes of children, adult and reference books on art and sports. The Storybook Island Little Free Library will benefit from a huge supply of children books this summer. 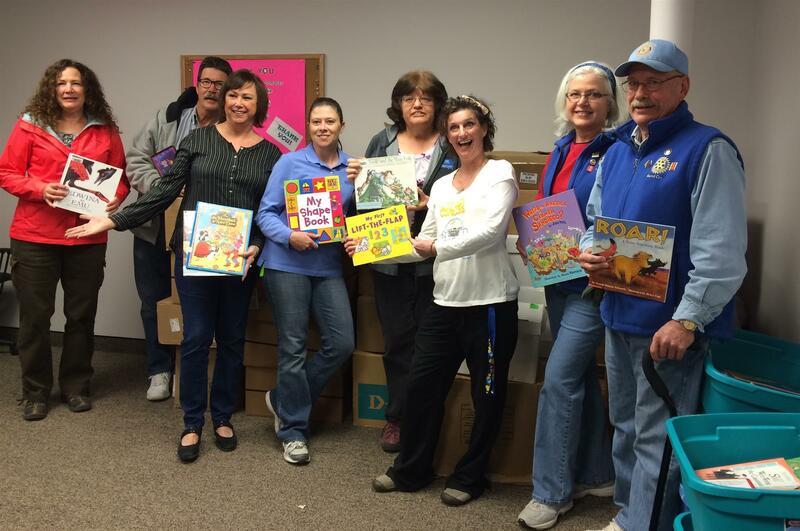 And Readiatrics was donated over 60 cartons of books to be distributed through the South Dakota Public Health clinics. Rapid City Rotary launches new website! Hello Rapid City Rotarians! This is the first bulletin from your new club website, hosted by Clubrunner. This is the same website manager as the District uses. This offers us many great functions, such as a complete and up-to-date member list, direct from the RI database, and easy -to-use formatting such as speaker data, event calendar and photos page. 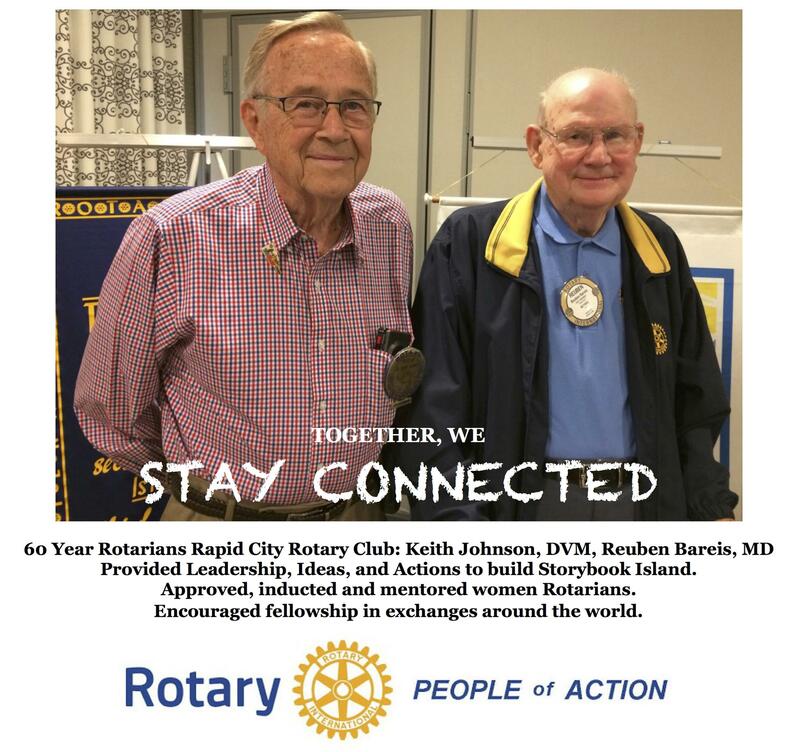 We are automatically linked to many Rotary information sites and the District site. News stories will be easy to load, and this bulletin will be sent via all members email, already loaded from your personal profile. Every member can access the website, edit their personal data at any time. Please do so if your address, phone or email changes! No need to pass thru a board member! We have loaded the club bylaws, club history, membership application and master list of committees. Next, we need the committees to post their current activities in the committees area. Let's get started! with more than 1.2 million members in 34,000 clubs worldwide. and eradicate polio under the motto Service Above Self.